Though summer is barely over many of us have already confined our pastel nail lacquers and pale lipsticks to the bottom draw to make way for the darker and more dramatic autumn winter make up palette. 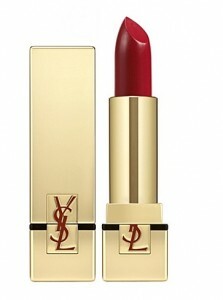 Yves Saint Laurent’s new Rouge Pur Couture Lipstick with SPF 15 is currently only available at Selfridges and is a great addition to anyones make-up bag because as well as the main line collection there is also a pure white and a cola brown which can be used to either darken, lighten or layer other shades and ‘et voila’ you have your own customised lip wardrobe! The 16 shades designed by creative director Stefano Pilati are split into a range of three colour families – reds, fuchsias and oranges all of which are highly pigmented giving intense colour. I opted for shade one ‘Le Rouge’ a very deep and intense red which evokes old school glamour. The YSL lady who was beautifully modelling the colour informed me she had been wearing it since 10 o clock that morning (now 6pm) and had not even had to retouch it and I have to say, by 11 o clock that evening my own still looked as though it had been freshly applied. The staying power of this lipstick really is fantastic, a trillion times better than YSL’s infamous Rouge Volupte’s and easily lasts an entire day with no reapplication needed, even after drinking and eating. 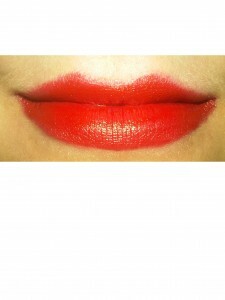 A few have commented that this lipstick can be drying and that it doesn’t add moisture to the lips. Though everyone is different this doesn’t really do anything for me, my lips are just as they would be naked and this is fine for me as I don’t expect my eyeshadow to cure my wrinkles or for my finishing powder to add moisture to my face. Two big negatives however, would have to be the staining and the fact it gets all over your nashers. Though the staying power of this lippie is fab, unfortunately it also stays on the parts of the face where you really don’t want it. Applying this very carefully with precision and a lip brush is an absolute must as just the tiniest weeniest bit outside the lipline and you’ll look like the joker when you try and wipe it off. Additionally be sure to check your teeth are clean as it does have a tendency to rub off a little. Aside from that we give this lipstick a big thumbs up and are trying to work up the nerve to pop back and pick up shade 7, le fuscia! 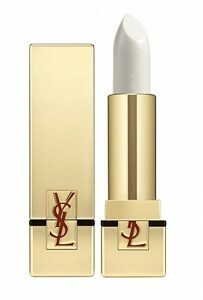 YSL Rouge Pur Couture lipsticks are available from Selfridge’s and are priced at £22 each.